Tools for Educators is a Great collection of applications that can be used by educators to build custom resources for their classrooms. Game creators, images, and more. to make and print teaching resources with pictures or classroom materials for kids. They are simple, but beautiful, versatile and powerful. I hope your students (and you) enjoy the resources. GarageBand – More Than Just a Music App! 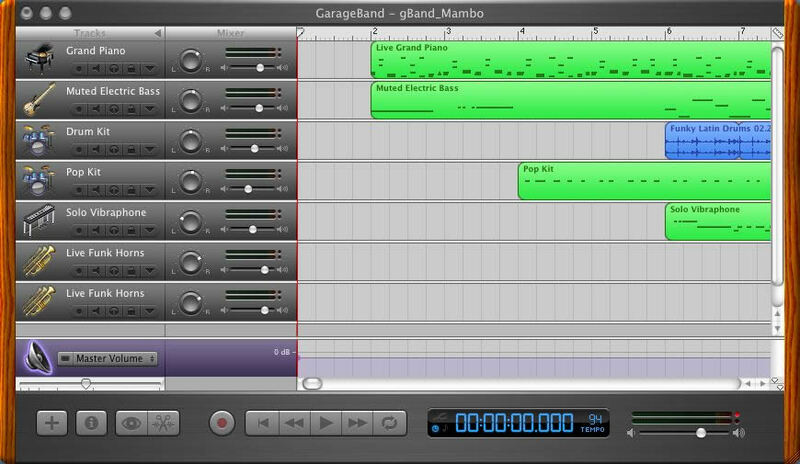 GarageBand is a great and versatile software. One of the ways I like to use it is in a non music way. Part of our curriculum for middle school students is to investigate music history and learn about technology. Here is a fun project that covers both areas and is a great way to teach kids a little more info about how Garageband can be effectively used. I get my students to investigate the history of the recording device. They then need to make a timeline that introduces their findings. GarageBand is perfect for this. I get them to import pictures of the inventions they want to discuss into their timeline and open a real instrument track. They then create a script that they will read and record their voice comentary. Mix it down and save it to iTunes. From there open it in Quicktime and you have a stand alone movie that can be uploaded to YouTube or any other movie sharing site. To share the finished work I like to post them on “posterous” . There the other students can leave feedback on other students work. You could do almost any kind of project his way. Of course you could also use iMovie with more flexibility, but it would take a little more time. Wordia is a new visual video aid for young readers. When a word is looked up in the Wordia dictionary you get a professionally prepared video with a host explaining the meaning of the word. Wordia is quite a bit of fun and really a new experience for young readers.